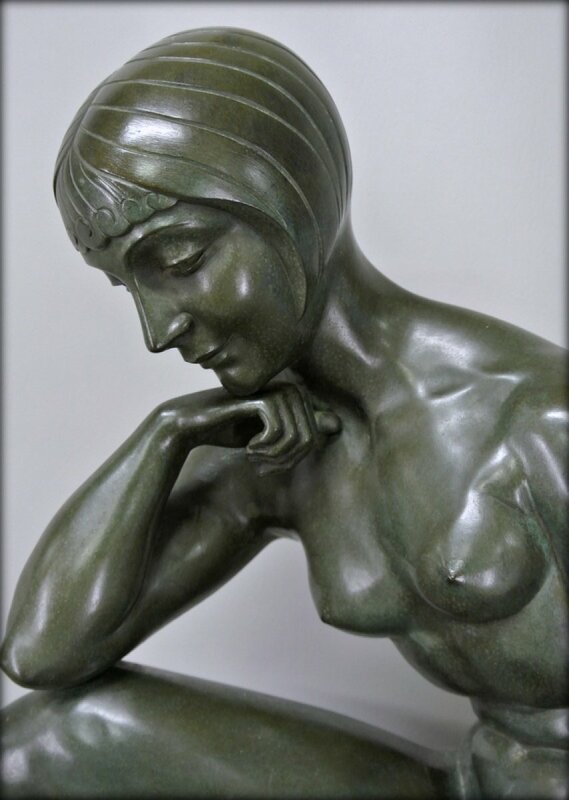 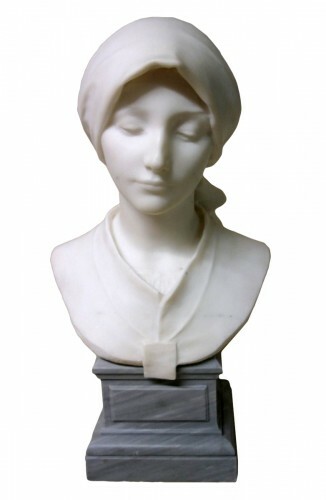 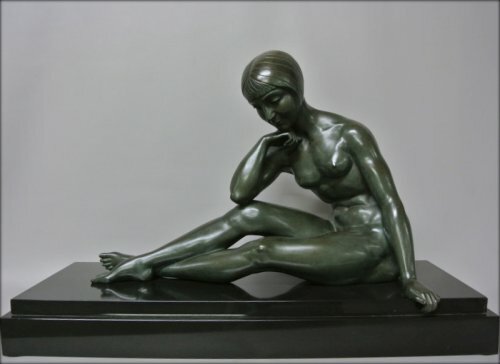 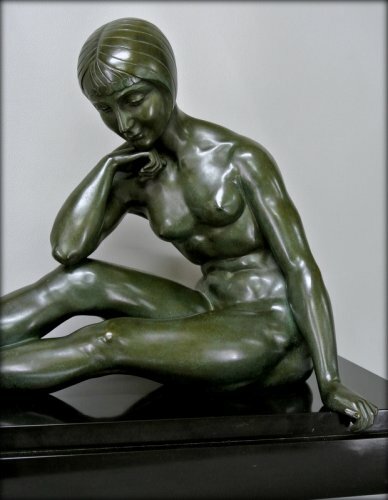 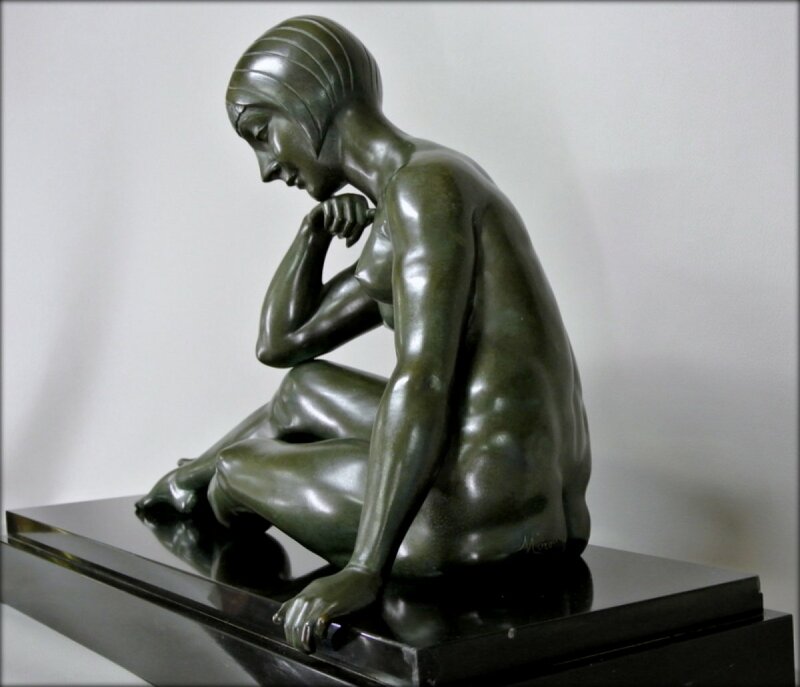 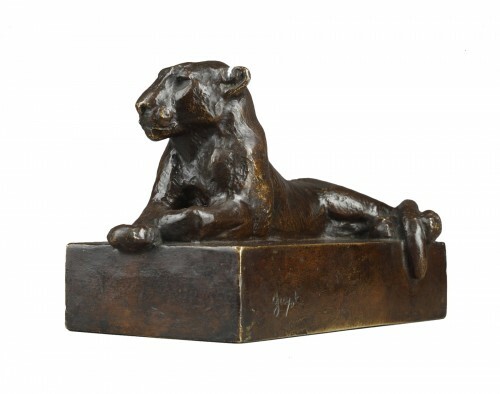 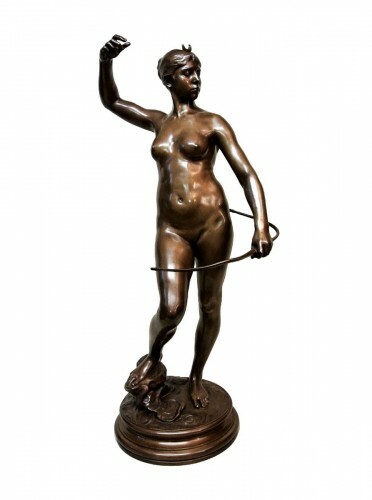 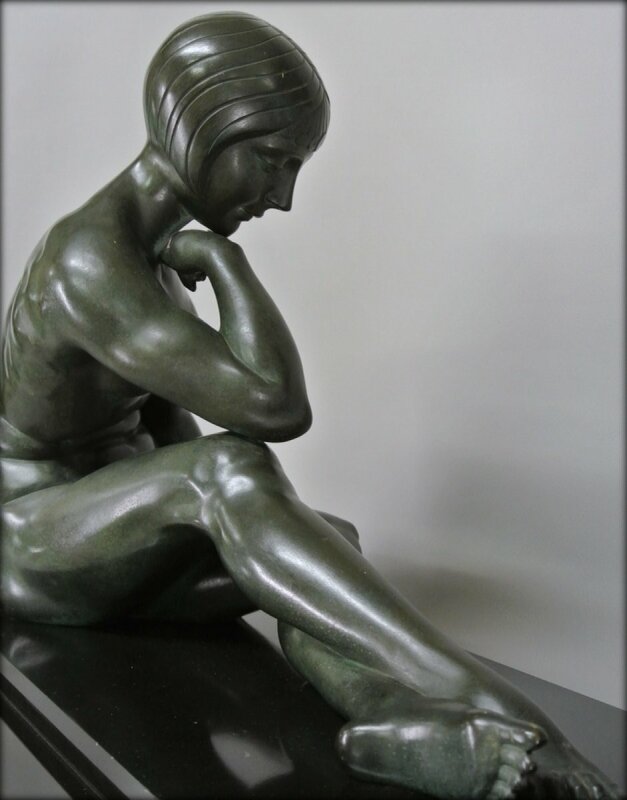 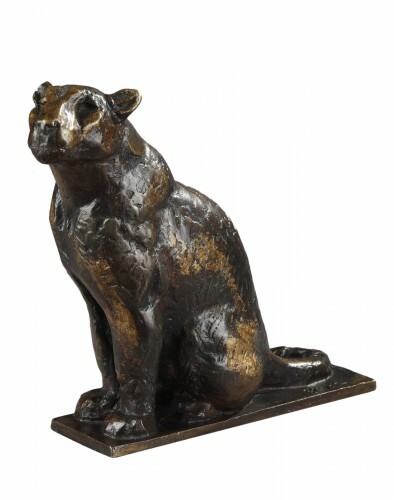 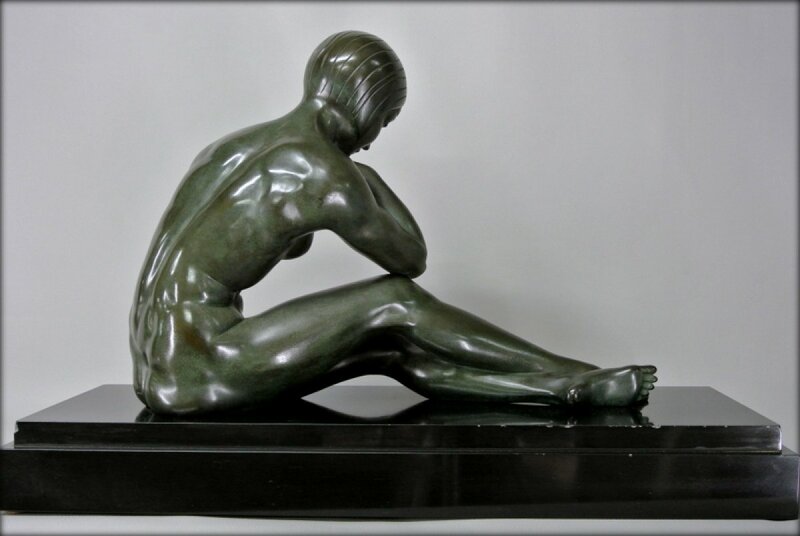 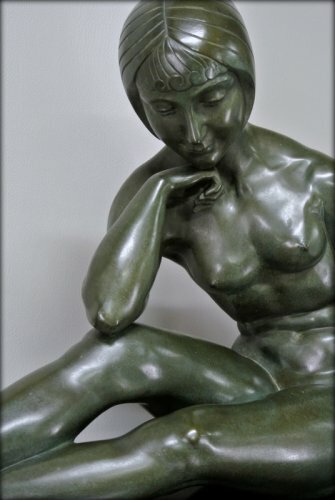 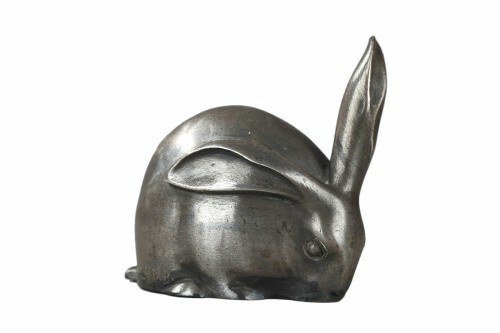 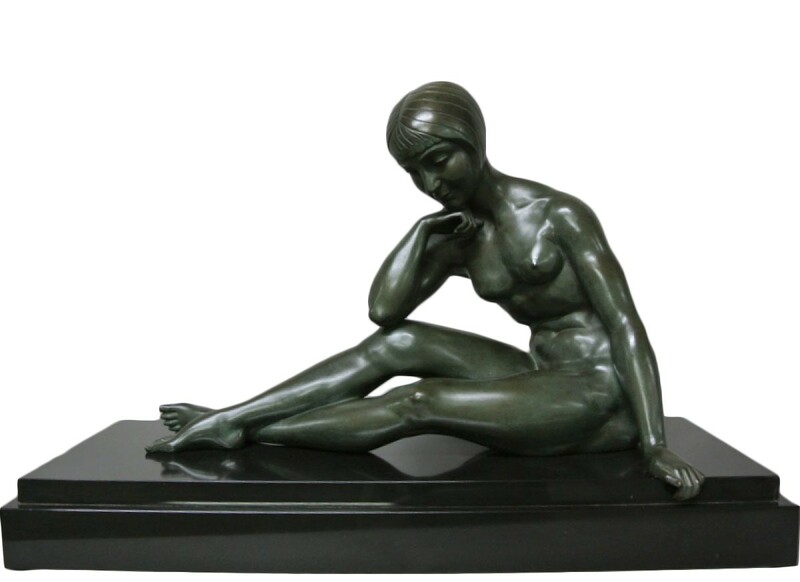 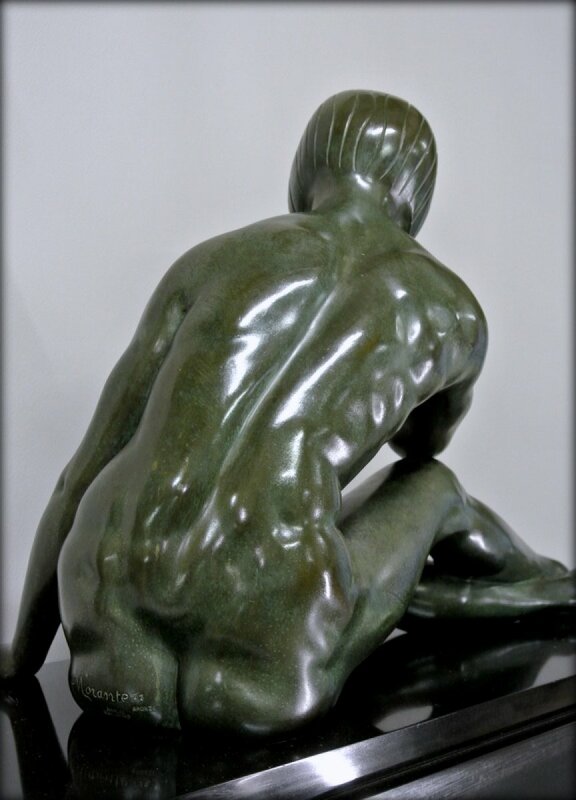 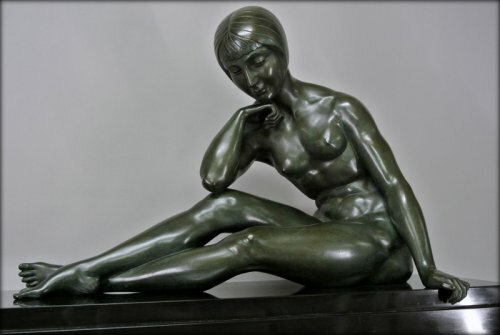 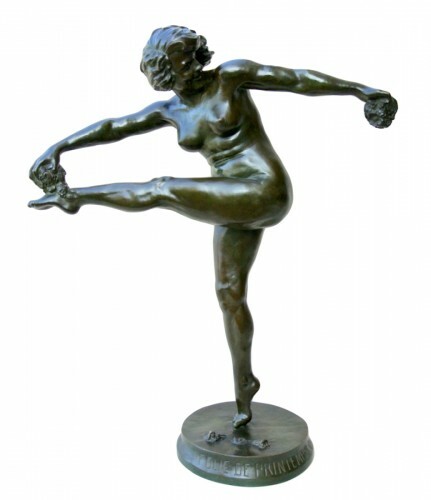 Young woman in a thoughtful attitude, Art-deco (early 20th century) bronze statue dark green patina nuanced, signed MORANTE this sculptor in the Art-deco Bryan Catley reference book. 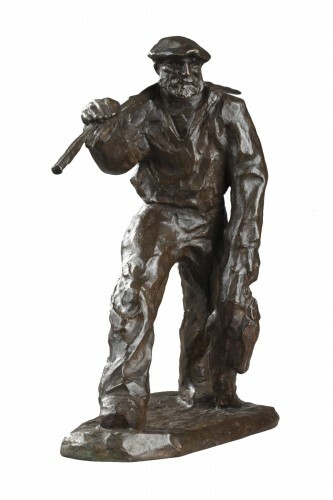 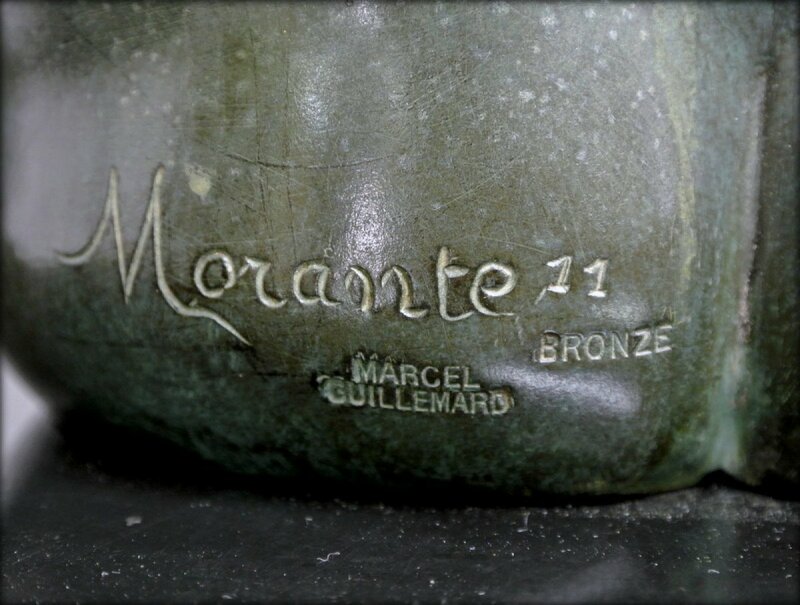 Stamp of refiner Marcel Guillemard (1886/1937) statue in perfect condition, numbered 11. 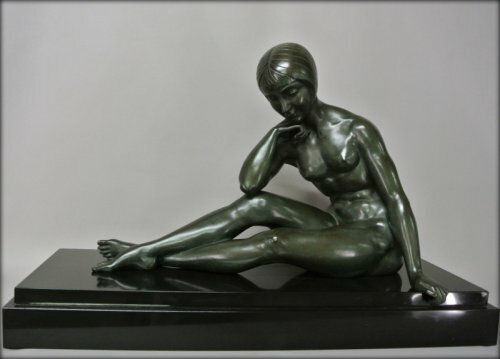 Base in black marble with light bursts (restored two) .the dimensions shown include the base, bronze only measures 46 cm x 22 cmx 32.5 tall.